Then, shockingly, the man chooses to remain in Jesus’ care even when it appears that Jesus has botched things up. Imagine! If my doctor only offered partial healing I’d move on to another doctor, but the blind man has faith in Jesus—faith to wait on Jesus’ timing and faith to trust His decisions. Then, how wonderful—and what relief!—when Jesus fully restores the man’s sight. Allowing Jesus to work in His mysterious way was worth the risk . . . and worth the wait. I looked back up at the pastor, knowing that the doctors had given him a terminal prognosis. He had already endured as much chemo as he could stand, and now his body was wracked with cancer. Aside from a dramatic miracle, he really was going to die soon, and yet he continued to trust in God. He chose to remain in Jesus’ care even when it appeared that Jesus botched things up. He had faith to wait on Jesus’ timing and faith to trust His decisions. That’s when I said to myself, “I know why! I know why Jesus does not heal the blind man completely the first time.” Perhaps it is to show us that He isn’t satisfied with partial healing. Perhaps He wants to show us that He is committed to our complete restoration and intends to heal us completely even when it comes through a process, through stages, and over time. 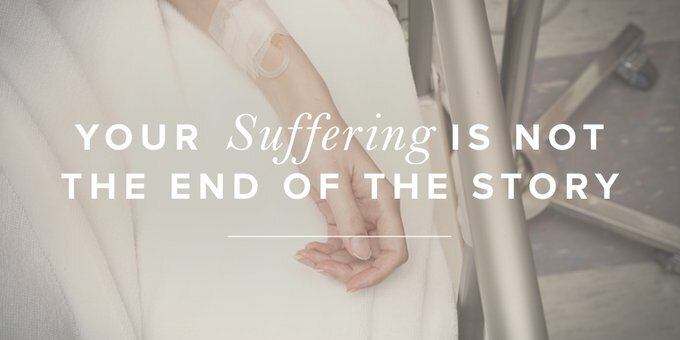 To Jesus, it’s not good enough simply for someone to suffer nobly through cancer, for our loved one’s health to improve before taking a nosedive, or for us to be temporarily victorious over a besetting sin. He’s not in this for disappointing, subpar results. Jesus will not leave us halfway healed nor will He give up on us. He can and He will heal us completely. Shortly after preaching that sermon, our beloved pastor died of cancer. In faith, I believe that he is with God now, supremely happy yet awaiting the complete healing of the entire universe, just as God promises. When I endure suffering of one sort or another, I recall God’s faithfulness to our pastor and our pastor’s unswerving faith in Jesus. It deeply encourages me to express my honest frustrations, pray bold prayers, keep serving the Lord with gladness, and remain in Jesus’ care, trusting that He will save the day. From the womb to the grave to paradise, Jesus is with us, despising the darkness and working to redeem everything. We are in His hands, being transformed from glory unto glory. In the midst of your suffering, remember this and take heart: We are only in the middle of the story. Jesus has more to say . . . and more to do. Stay in His care, and He will carry you through. For now, we see trees walking, but someday we will open our eyes, our sight will be restored, and we will see everything clearly. PS: Someday you will see clearly—trust that anchor of hope and truth. And as you wait, dig into the Word and the True Hope Jesus gives for disappointment with this study (and the upcoming podcast). Our team is praying that it will remind you of how our Healer can and will carry you through. Next Post Has Your Theology Changed You?